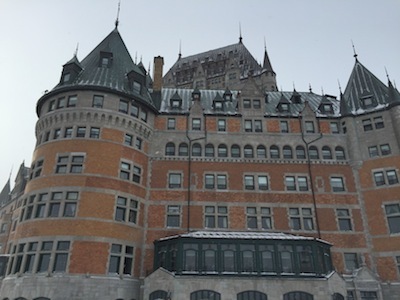 When it was decided that Charlie and I would indeed visit the Hotel De Glace in Quebec City, I knew that this would be the perfect opportunity to take her to one of my favorite hotels in Canada, the Quebec City Chateau Frontenac. 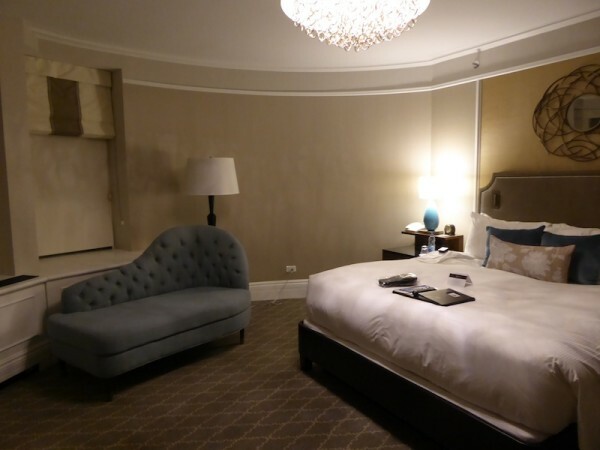 The hotel, a Fairmont, is perfect for families. Here are what Charlie and I loved the most. Charlie being 4 and obsessed with Disney Princesses is a little suspect of places that call themselves castles. She has called out many a building with the word in the name that was nothing more than a regular hotel. When we pulled up to the Quebec City Chateau Frontenac, I thought she was going to fall over. As we got out of the cab, she literally did. The kid has a flare for the dramatics. I picked her up off the floor and in we went to register. She was blown away by the lobby, the projected stars outside of the entrance and the Christmas Trees that numbered in the teens at least. As I checked in, a dapper bellman led Charlie around the lobby showing off the artwork and design. She was quite enamoured by him and the royal treatment she was receiving. Check-in was extremely fast and friendly and within minutes we were in our room. Like always, I had to call the front desk multiple times for everything I forgot and they never seemed annoyed. Charlie even received more royal treatment when I treated her to breakfast in bed while we watched Sofia the First the next morning. Onsite there are numerous restaurants and Charlie and I choose to dine in the ultra modern Bistro Le Sam. We sat overlooking the St. Lawrence river and mostly talked about Princesses while enjoying a glass of wine and a Shirley Temple. Although the service was a little slow, the food was fantastic and each bite was delectable. 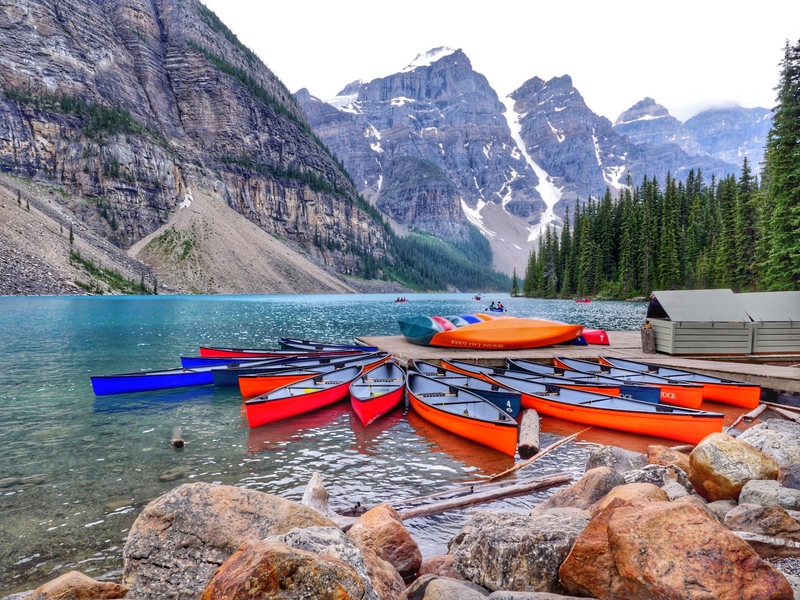 The menu features local cuisine and truly delicious Quebec cheeses. 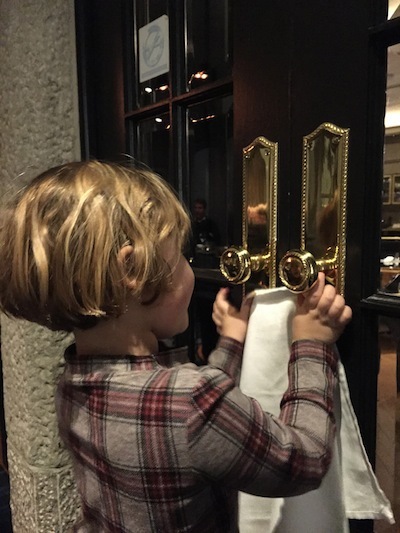 After dinner, Charlie started polishing the brass door handles while singing “Its a hard knock life” and calling herself Cinderella so I figured it was time to make a polite exit. 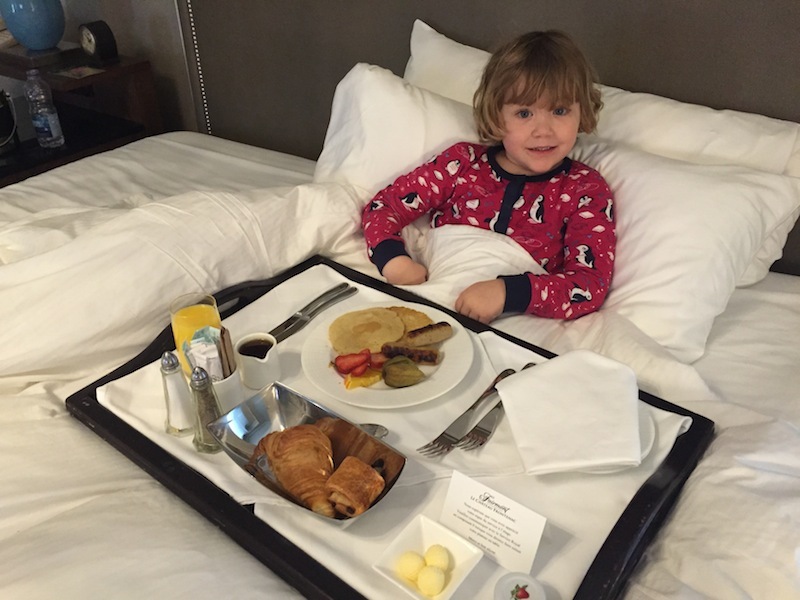 A great feature of Fairmont hotels is that kids under 5 eat free off the kids menu. Also, children 6-11 eat for half price off the regular menu. All Fairmont hotels are also expanding their kids menus to include healthy twists on the usual kid-friendly favorites likes chicken fingers, pizza, spaghetti with meatballs and even dessert. 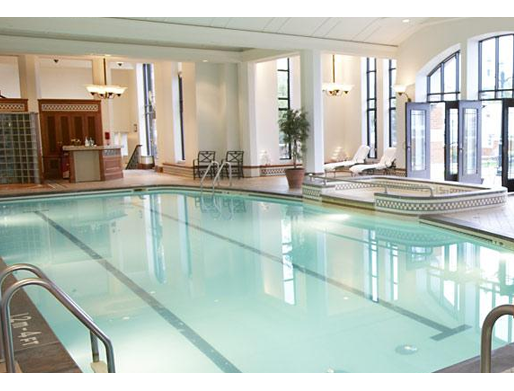 The Quebec City Chateau Frontenac has a variety of onsite fun for the whole family. Charlie and I loved the pool area and spent a good 2 hours there a day. The pool is set up in an atrium with floor to ceiling windows where people lounge in the sun’s rays. There is a large lap pool where families swam and played as well as a smaller kids pool which Charlie loved having to herself. I met a few other travelers in the hot tub and had an enjoyable time chatting the day away. The on-site spa is gorgeous and was quite busy when we visited which is always a good sign. There is also an up to date gym and steam rooms. Most of the hotel has recently undergone extensive renovations. Depending on availability, you can stay in a traditional room or go ultra modern à la Kate Middleton. My little princess and I tend to enjoy the updated luxurious side of life over old luxury so we went with a modern room. When we entered the room, we were not disappointed. I had to hold myself back from joining Charlie in jumping from the chaise lounge to the bed and back. Our room was circular as it was in one of the turrets and it had an amazing view of the St. Lawrence River. The design was impeccable and the furniture as luxurious as it gets. After spending a night in the bed, I only half jokingly tweeted the hotel to say they might have to actually come remove us from the bed. The bathroom featured all new fixtures and a modern rain shower. I would have loved a bathtub but besides that, there was nothing in the room that wasn’t perfect. The hotel offers a very fun Princes and Princesses Package that includes an in-room movie and in-room delivery of movie snacks like popcorn and juices. Had we thought to book a second night at the hotel, this definitely would have been our plan. As much fun as spending every waking moment with your kids is, you may be pleased to hear the Quebec City Chateau Frontenac offers childcare. Rates are a very reasonable $20 per hour and the hotel does all the arranging for you. This is a great feature as the hotel is surrounded by shops, bars and restaurants and as already mentioned has an onsite spa. In the winter, there is a great sliding hill just outside the hotel. We were in all honesty too cold on the morning we were supposed to try it out to do any sliding but families I met at the hotel did tell me it was a lot of fun. There is also a funicular to easily get down to old Quebec. The hotel lobby features a large Starbucks with room to sit and warm your toes in while indulging in some hot chocolate upon your return. The only thing I regret about our stay in the hotel is that we didn’t book a second night for the night after our stay in the Hotel de Glace. Looking back, it would have been nice to enjoy another day of luxury and explore Quebec City a little more. I do hope to bring both the kids back in the spring or summer to show them the historical sights and spend more time in Old Quebec. 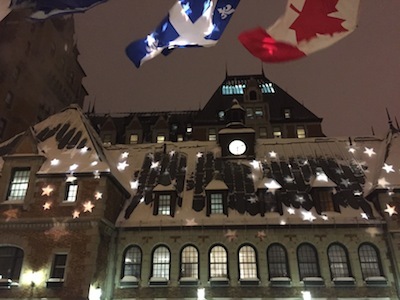 The good news is that in winter there really is no need to leave the hotel and you can plan a perfect escape even in the coldest months knowing that your family will love the Quebec City Chateau Frontenac. During our very royal weekend, the Quebec City Chateau Frontenac truly surpassed all our expectations. The photos of the room are stunning.